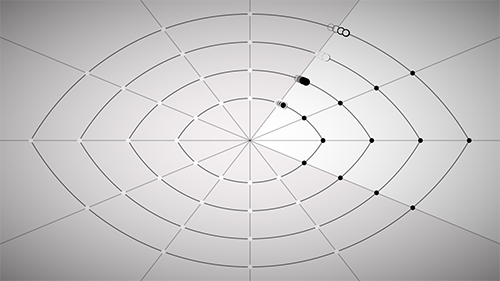 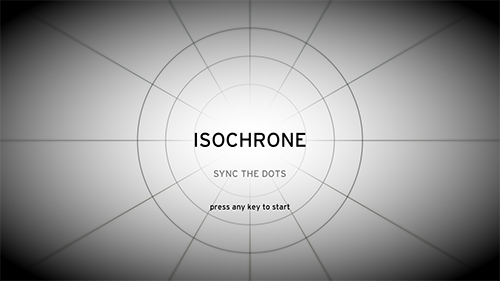 Isochrone is a game of synchronization for a single player, or two players in cooperation. 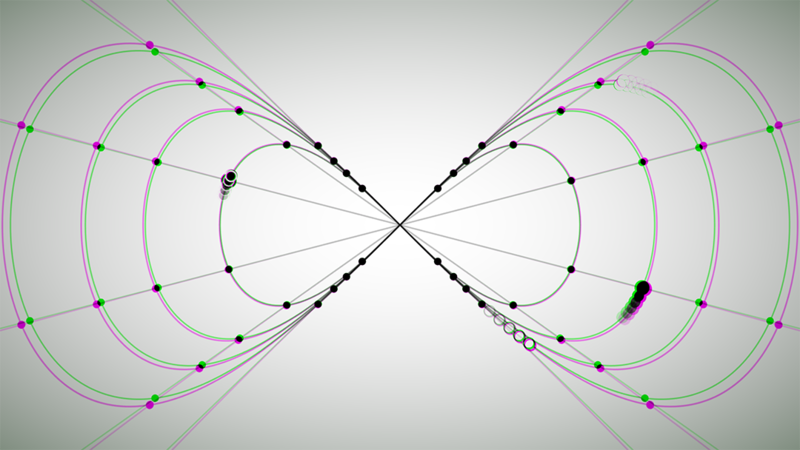 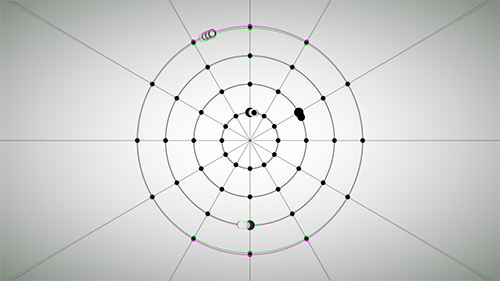 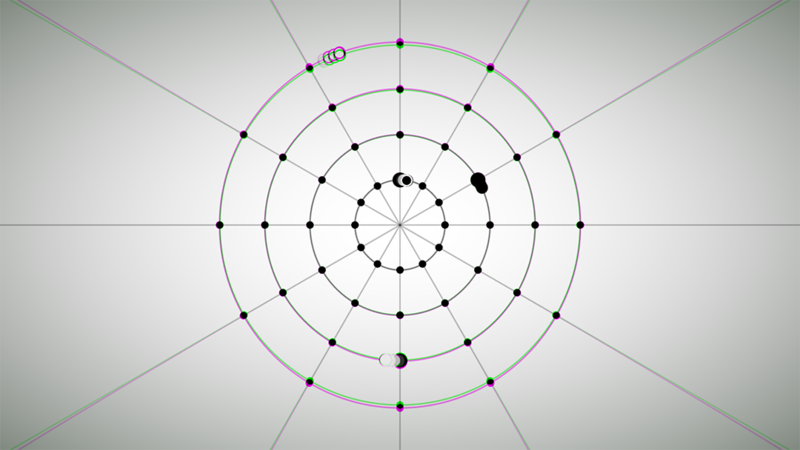 Four circles are displayed on a screen, moving their way along geometric nested shapes. 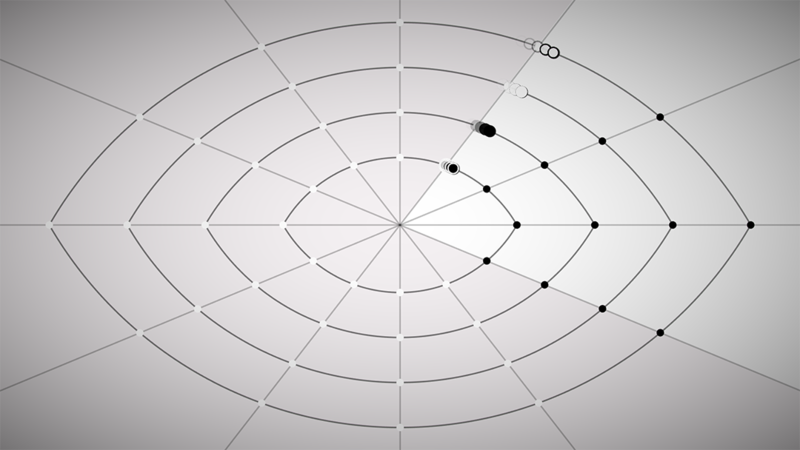 As a dot is progressing on its line, it triggers the playing of Piano Phase by Steve Reich. 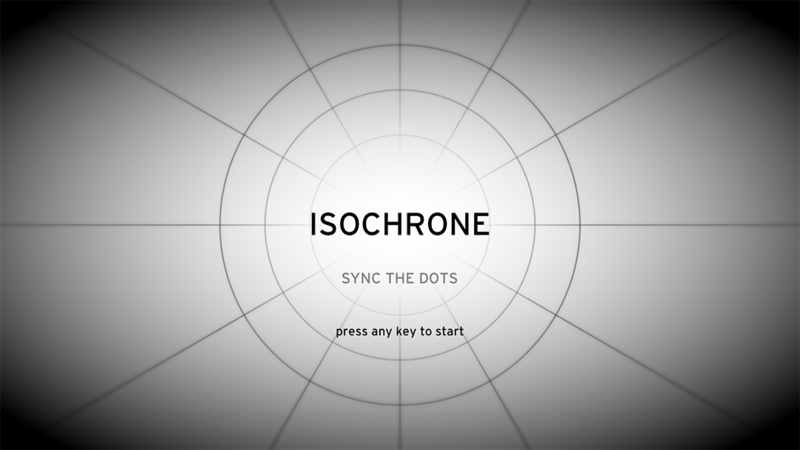 The point of the players is to sync their races and thus harmonize the original cacophony.